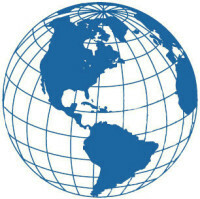 Parter International, Inc. provides quality services targeted to meet the precise needs of customers large and small. We advise and assist companies in evaluating new business opportunities, identifying strategic alliances, conducting market research, developing a positive image in the marketplace, and successfully opening, operating, and expanding their business in a new market. Parter International has executed economic development assignments with federal, state (provincial), and local governments, both domestically and abroad, as well as with non-governmental organizations and public-private partnerships. We specialize in tourism planning, tourism marketing, and the assessment, design, and execution of foreign direct investment attraction and trade promotion campaigns. We advise non-profits and foundations on a variety of programs and management issues: We conduct evaluations and make recommendations concerning program initiatives; governance; personnel; board and advisory council composition; funding; grant giving themes and procedures; special events, marketing, and external and internal communications; and identifying quality grantees.